Directions; Have children color dreidel. After they have decorated it, assist them in cutting out the shape. Fold along all solid lines to create dreidel shape. 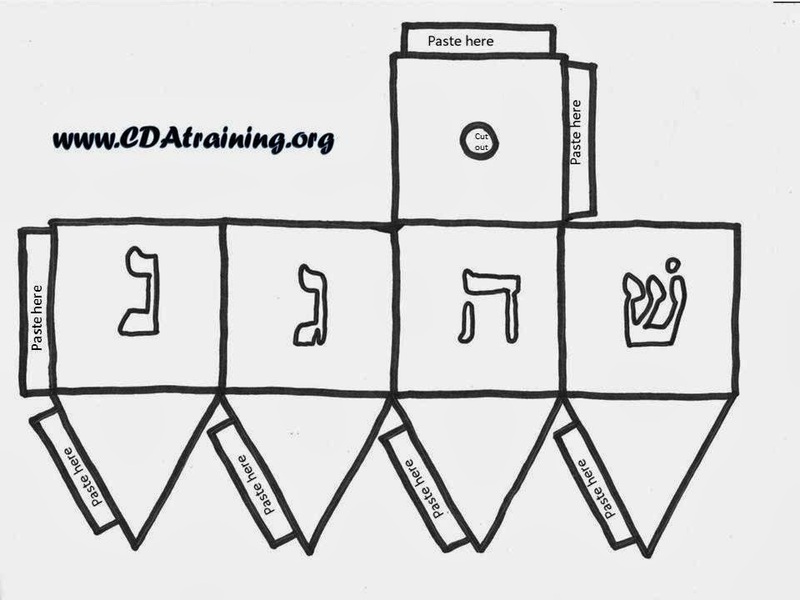 Fold down tabs that say "paste here" so that they are inside the dreidel shape. Put glue along "paste here" tabs, and fold in to set. Allow the dreidel to dry. 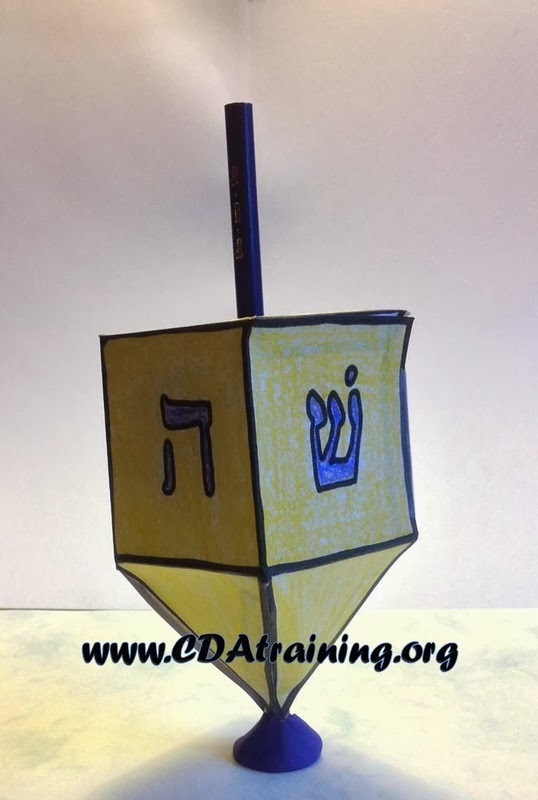 Once the dreidel is dry, put a pencil through the top hole (that you previously cut out), and through the bottom of the dreidel. 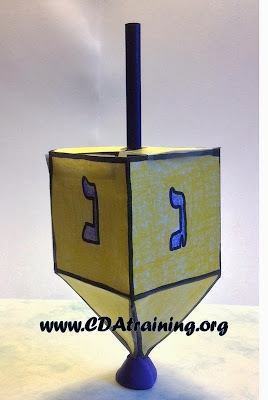 *The bottom of our dreidel is obscured because we chose to make a stand for it out of play-dough.